Astrological assessment of compatibility between two people is known as synastry. There are several different approaches to synastry and not all astrologers agree on the most effective procedure. The most detailed and sophisticated methods involve making a series of comparisons of the two individual birth charts, or drawing up a composite chart to represent the combination of both persons' astrological tendencies. 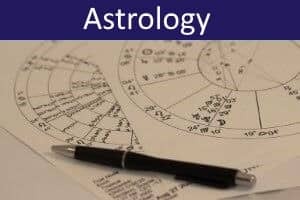 While opinions on synastry differ, most astrologers agree that the most important features to consider are the respective positions of the Ascendant, Sun, Moon, and faster-moving planets in the two charts. This is the approach taken here. 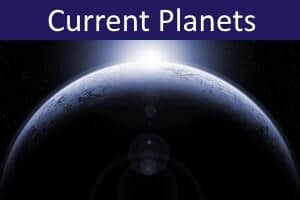 To get maximum benefit from this tool, you will need to know each person's zodiac signs at birth of the Ascendant (Rising Sign), Sun, Moon, Mercury, Venus, Mars, Jupiter and Saturn. 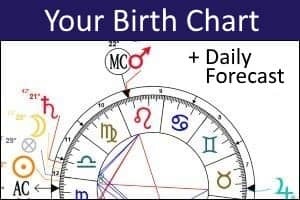 If you do not know these, you can find them by calculating each person's natal chart using the free and instant birth chart calculator shown below. Note that the three outermost planets (Uranus, Neptune, Pluto) move so slowly through the zodiac signs that their influence on relationships is marginal. They are, therefore, not included in this compatibility analysis. To use this tool, simply select the relevant zodiac signs for each person. As you enter data, the results will be continually recalculated and updated. You do not need to enter all requested information, but the analysis will be more interesting and useful the more data you can provide. You do not need to provide your real names, and can use initials or an alias if you prefer - or just leave the Name fields blank. ASCENDANT signs indicate SOCIAL compatibility (how you get on socially). SUN signs indicate TEMPERAMENT compatibility (how your natural personalities interact). MOON signs indicate EMOTIONAL compatibility (how you relate emotionally). MERCURY signs indicate INTELLECTUAL compatibility (how you communicate and share thoughts). VENUS signs indicate ROMANTIC compatibility (how you relate romantically). MARS signs indicate PHYSICAL compatibility (how you interact physically or sexually). JUPITER signs indicate IDEOLOGICAL compatibility (how you react to each other's beliefs, values and opinions). SATURN signs indicate LONG-TERM compatibility (how your relationship may develop and be sustained over time). Each compatibility score is also graded either GREEN (good), AMBER (fair) or RED (poor) - scroll down the page to view each detailed assessment. These include brief descriptions of each person's dominant characteristics as they are likely to be expressed in the various areas. 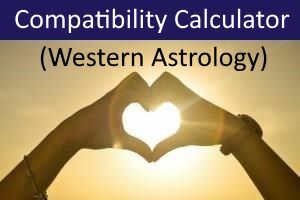 The scores obtained with this tool are calculated using special algorithms that take into account the relationship (similar and complementary) between the following astrological features in the two charts. 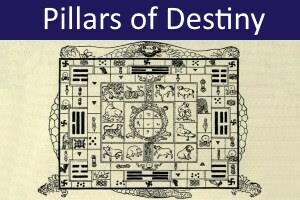 In traditional astrology, each zodiac sign is considered either positive or negative, depending on whether its influence is largely active or passive (yang or yin). Polarity alternates through the 12 signs, beginning with Aries (positive) and ending with Pisces (negative). Each zodiac sign is also associated with one of the classical four elements (Fire, Earth, Air and Water). Again, these cycle through the zodiac, beginning with Aries (Fire) and ending with Pisces (Water). Because each element comprises three signs, the element groupings are known in astrology as the Triplicities. Fire is traditionally considered to be opposed to Water (e.g., water puts out fire). Similarly, Earth and Air are opposites (e.g., body vs mind). Another traditional cyclical grouping of zodiac signs is based on how each contributes to the seasonal, developmental, or gestatory process. Three 'qualities' (or modalities) are traditionally recognised - Cardinal, Fixed, and Mutable. Cardinal signs are the creative initiators. Fixed signs provide a stable environment and foster maturation. Mutable signs shake things up and allow transformation to occur. Because each quality comprises four signs, these groupings are known in astrology as the Quadruplicities. Relationships between the three qualities are complex, and astrologers can have different opinions about which qualities are compatible. All astrological assessments made using this calculator, including compatibility scores and textual descriptors, are provided for entertainment purposes only. No claim is made concerning the accuracy of these assessments. By using this Compatibility Calculator you agree to accept any and all risks and liabilities that may result from its use. Note that the calculated compatibility scores are not exact measurements, but rather approximate values. Further insight into the astrological dynamics and interpretation of a compatibility score may be obtained by considering the associated textual descriptors. Finally, please bear in mind that human relationships are complex and, while it may be interesting and entertaining to explore astrological dimensions, they provide, at best, only a partial perspective. They should not be taken too seriously. Also, don't be surprised if they appear wide of the mark. If they seem inaccurate, they probably are. In these circumstances, it is much better to trust your own judgements about people and relationships.